In mid April, 2017, seven red foxes were born in captivity. 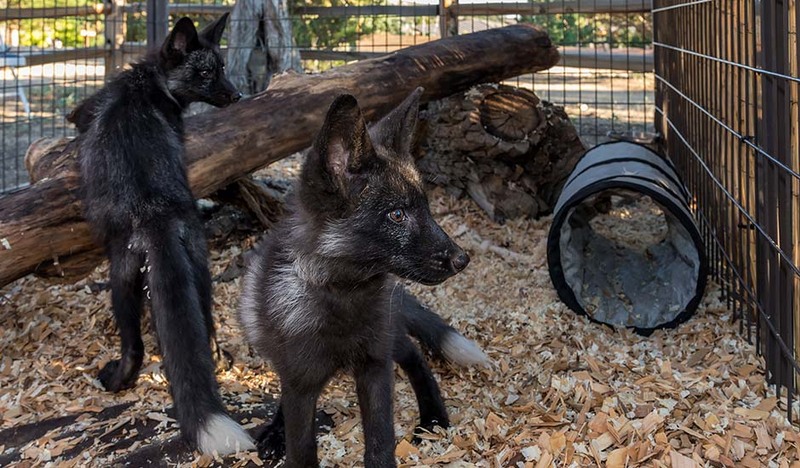 These hand raised foxes were transferred to Los Angeles, California where they were illegally offered for sale. Following an investigation the pups were located and confiscated by the California Department of Fish and Wildlife. While under the care of the Wildlife Investigation Lab, the pups received a thorough health exam. Amongst the litter both internal and external parasite were found. Treatment began immediately while the Senior Environmental Scientist began the search to locate approved homes for the fox pups. Animal Ark was the first contact and after a housing discussion it was decided the Ark could provide a good home for two of the silver phase pups. An educational opportunity would also be available as only 8% of wild red foxes are the dark color phase. 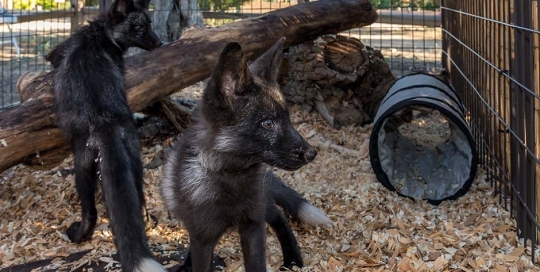 After reviewing helpful information about the pups provided by the staff at the WIL, it was not difficult choosing two compatible pups that would adjust well to Animal Ark’s environment. 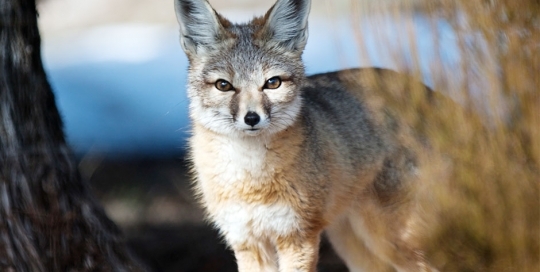 In Nevada all foxes are considered high risk rabies carriers. Due to this and the original health of the pups the permit process to import them into Nevada was lengthy. Jane and Elwood arrived on June 22nd at nine weeks of age. A rancher found Amelia and Sadie as orphaned coyote pups in Fallon and turned them over to the Nevada Department of Wildlife. After a quarantine period during which it was verified they didn’t have rabies, the pups were given over to the care and custody of Animal Ark. Since the two-week old pups had to be bottle-fed, they lost their fear of humans and have learned to depend upon people. 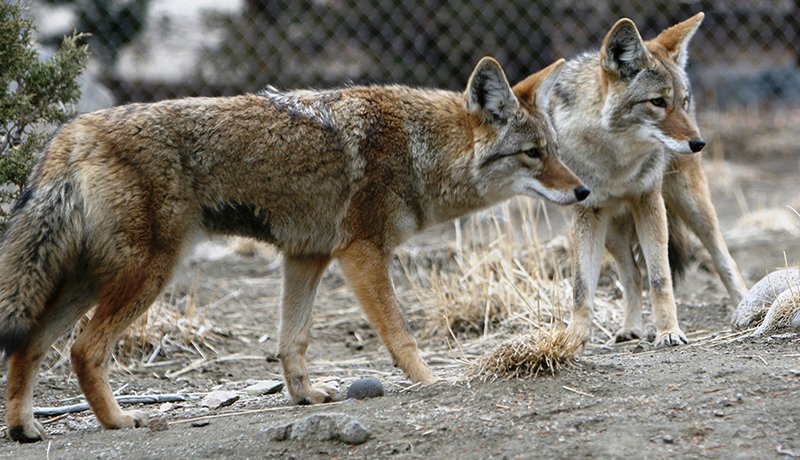 The early socialization with humans makes it impossible for the coyotes to be released back into the wild. 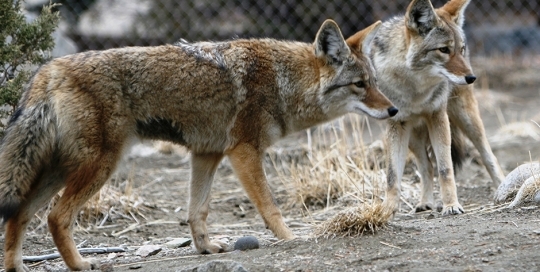 Amelia and Sadie are wonderful coyote ambassadors for their species. 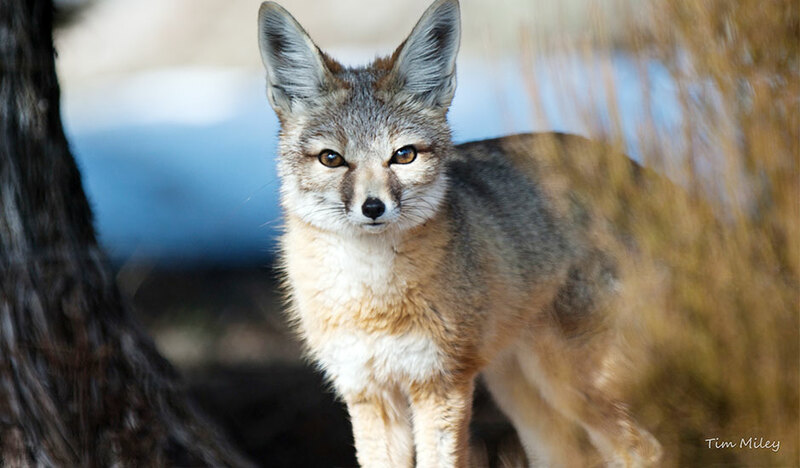 Coyotes are very adaptable and are found throughout most of Nevada. Coyotes are most active during the early morning and evening hours; however, in areas where they are not disturbed by human activity, they tend to be more active during the day. Unfortunately, Amelia passed away in the fall of 2018 – she is missed by all. After an extensive interview process, Animal Ark was chosen to receive the pup as a donation from Wolf Park. 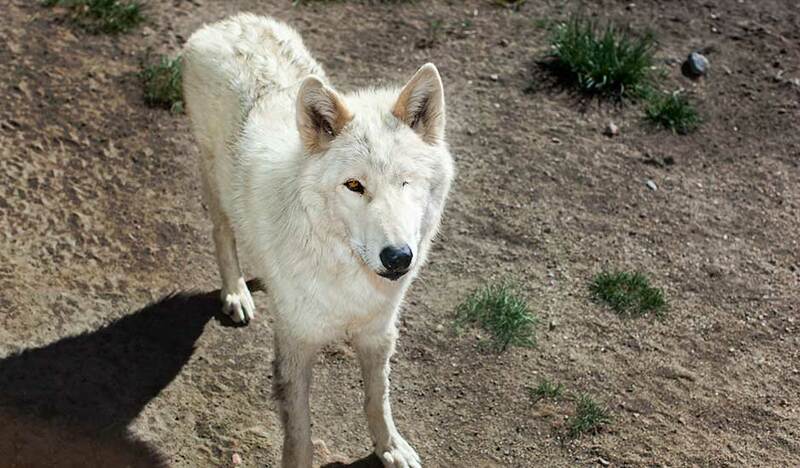 Wolf Park is a 501(c)(3) non-profit organization dedicated to behavioral research, education and conservation, with the objective of improving the public’s understanding of wolves and the value they provide to our environment. Wolves are very social animals and form strong bonds with the other members of their pack (i.e family unit). Wolves communicate through facial expressions, specialized behaviors and postures. Contrary to popular belief, wolves are not dangerous to humans. 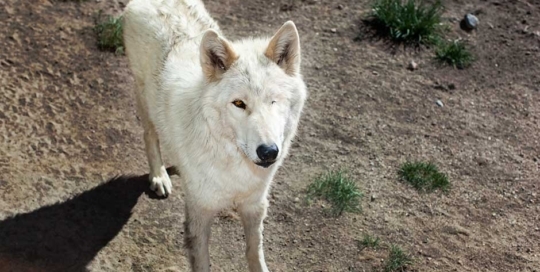 Wild wolves generally fear and avoid people, rarely posing a threat to humans. Monty has lost his left eye due to glaucoma. He has adapted well, and enjoys the yard with his new best friend, Shadow.